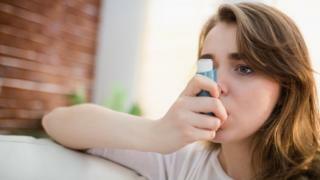 People with asthma are being encouraged to use "greener" inhalers by the NHS, if it is suitable for them. The National Institute for Health and Care Excellence says "environmentally-friendly" dry powder inhalers contain 25 times less pollutants. Some inhalers - called metered dose inhalers - contain propellants known as hydrofluorocarbons to deliver the medicine quickly to the patient during an asthma attack. "People who need to use metered dose inhalers should absolutely continue to do so, but if you have the choice of a green option - do think about the environment. Dr Samantha Walker, of Asthma UK, said: "If anyone is thinking about changing their inhaler or needs advice, we recommend that they visit their GP or asthma nurse."